I’m not an expert on dating games but I know a little about this department. Knowing means I did some dates before, not often though. But I would like to share some thoughts about first dates. It is a crucial step for both sides since it depends on it if you’ll have a second or a third date. And to make it more special most men over do it or under do it. They mostly think of ways what most women would like to do. So boys, to break what you normally think, girls are not all the same. Same as you told us that boys are not all the same. Everyone is unique and you have to wish that luck is on your side when it comes to figuring out what to do on your first date. I’m not a too girly girl but I have my own moments that I like to act as a girl and do things a girl is supposed to do. Dress up, put a no makeup look and walk like the world is your runway moments I suppose. But I believe that simplicity is beauty. I would like to think that you boys also want that. A girl that is not high maintenance. In other words, not a headache. When you take her to do some hiking with you, you’ll see her beauty of simplicity. Plain but pretty. I’m just hoping the girl you’ll bring will be simple and won’t wear makeup on your hike. Or else, she will look like a mess going up and down on those hills. I will surely laugh. Haha. As for you boy, no need to do an extra effort on how you present yourself. Just wear proper hiking shoes and you’re good to go! What I mean about the situation is the whole journey itself. The heat of the sun, the walks, the climb. Everything. You’ll see how she will react on each situation where it makes her uncomfortable. If she will handle it gracefully or if she will nag her way until you’ll reach the top. You’ll thank me later for suggesting this first date. I’ll say ‘you’re welcome’ ahead. Also, when she will have a hard time during the climb, you can be her superhero and help her out on your way to the top. That’s a plus point. Keep the score high and I’ll cheer for you. Keep up the good work Superman. It doesn’t mean that first date is only allowed when you’re the only two involved. You can have your first date with friends or strangers to make it not awkward. It’s your first and your trying to know each other more. Most hikes are with groups. In this activity you will know if she can get along with people well. Always remember that shy is different from snob. Hikes would take hours and if she’s not talking to anyone besides you. That is not a good sign for me. What do you think? Tip: If you’ll bring her with your friends, expect that they will tease you with her. That will be super awkward. I hope you both can handle that well. You’ll take her to the mountains because it’s beautiful. You’re trying to impress her, right? So Nature will be your place even though you’ll eat from your lunch box. It is still romantic believe me. Just put your charming smile and act like a prince. Just sing the line ‘love can move mountains‘. Oops! Too early for that I guess. But what I really mean is that mountains have this energy that makes you feel that you belong with mother earth. An ecosystem moment. I’m sure you know what I mean. So I guess she will feel that you both belong. I think it’s getting cheesy. Okay I’ll stop. Like what I said earlier. Boys mostly do things that girls want. But what if you’ll do the opposite? Will she agree on that? As early as first date, it’s good to know if she can compromise with you. Why waste more time when on the first thing you’ll ask her and she will say no. Always know the difference of ‘hard to get’ and ‘not interested’. Time is precious so treat it like gold. Go hunt another fox. But, if she says yes on this, it means that she likes you that much and she’s willing to do it for you. She’s very vulnerable by doing this so you young man are definitely awesome (Tapping you on the back). And if she will do these kinds of things for you, you should reciprocate that to her. You should also know how to compromise as well. Like what I said earlier, everyone is a unique individual. Everyone is different. You’ll have to figure it out and try your luck first, then try to adjust what is not changeable. First date is crucial and relationship is another topic. So why risk doing things on a tentative thing like first date? Don’t ask me that stupid question. It’s like you’re asking me why live when you’re going to die anyway. Instead, just try to make an effort and make the most of it! So, good luck on your first date. 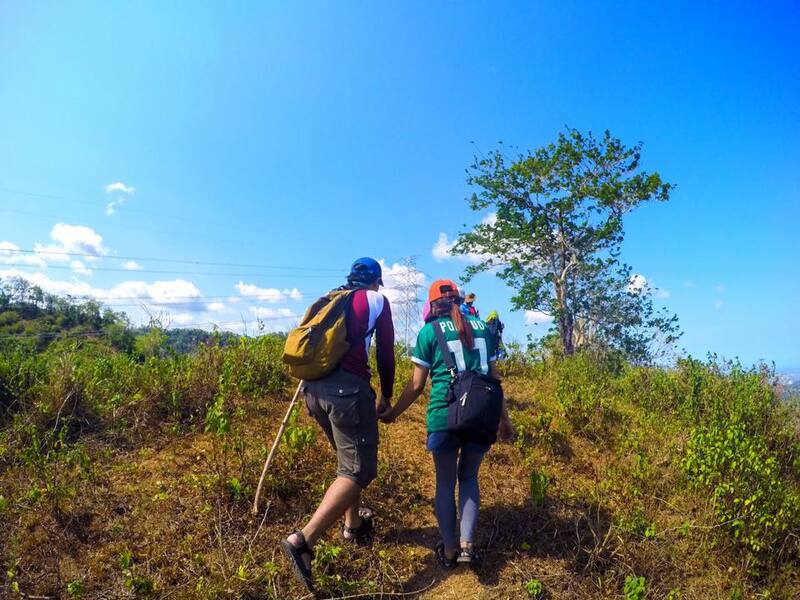 *All photos were taken by Isko during our hike in Napo, Cebu City. What do you think about this idea for a first date? Feel free to comment below. Let’s stay connected. Follow me on Facebook and Instagram!